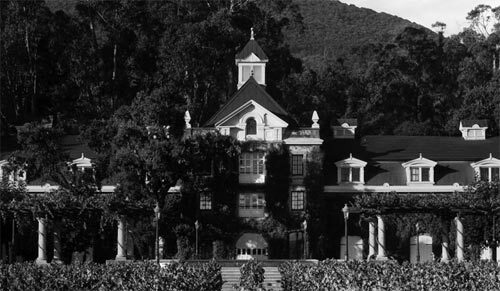 In what has become something of a rarity, the San Francisco Chronicle published a very lengthy, in depth, and well-written article about Francis Ford Coppola’s restoration of the Inglenook winery. While I’ve always liked Jon Bonné’s writing, he is rarely afforded the space to really write longer articles given the Chronicle new found love of traffic-driving “listicles”. It appears that once given said space, he ran with it and wrote one of the best articles I’ve seen about the history and direction of this winery. This is a history I know very well as I worked for Coppola about 15 years ago and could nearly recite everything by heart. Beyond drinking $3/L crap wine in college, that was really my true introduction to wine given that as an employee, you receive a massive discount off the retail price, and are educated by those who know how to make proper wine. I had my fair share of Rubicon vintages, but even with the discount it was still out of reach and all of us would stick to the Diamond series of wines that were a great deal more enjoyable in the late 1990’s. Naturally, once laid off from the company at the beginning of 2002 due to cutbacks at the time, I wish I had taken advantage of more of those wines. This was further compounded by tasting the 2006 Rubicon last year and being utterly repulsed by what had happened to that wine as well as all the other estate wines with their over-oaked, hot, brash, points-driven character. As noted in that Chronicle article, Coppola is a funny guy in that he’ll take off for long periods of time for projects and various people in his myriad of companies get a bit over zealous in their supposed independence. It’s good to see that Francis (everyone in the company freely calls him by his first name) was aware of what was happening and made strides to correct it. Not having enough time or liver capacity to follow everything in France as well as what I follow in Southern Europe, I’m not familiar with the new head winemaker, Philippe Bascaules. But, in reading the tasting notes of the new vintage, it looks like everything is starting to head in the right direction. This direction I might add is gaining a lot of momentum in California as a lot of wineries are turning to the “European” style of winemaking again given that many people in the US are getting really tired of these huge red wines. I’m betting that the new and improved Inglenook will be getting rave reviews in short order for this about face and I look forward to tasting these new vintages down the road.